Northern Utah band Valentine & The Regard’s latest album, A History of Fashion, conjures up a mash up of three wonderful things. I hear the hollow, eerie echo of The Cowboy Junkies during The Trinity Sessions, and I hear the thump-and-drag sound of Tom Wait‘s Mule Variations, all fused together with the last-call, drunk-punk musings of The Replacements. It all works. 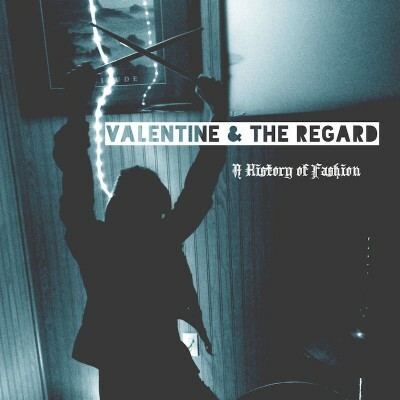 Don’t get lost in my comparisons: Valentine & The Regard have their own identity, and A History of Fashion is its own record. It’s blues music for the self-possessed. It’s Robert Johnson, removed from the crossroads and placed at a busier modern intersection—preferably with a 7-11. Each track on this record has a different feel, as if the songs were recorded in different rooms and different places. The first track, “Bend Like A Bridge,” is a slow blues burner that ignites slowly than all at once—like a match. You can almost hear the dust rise and fall from the floorboards with every drumbeat, and when the guitar finally arrives, it’s as cool and clean as a knife. The power-chord precision of “America Is Hanging By A Thread” jolts you to your feet—it’s the time of the record when the energy drinks kick in. Also, just try and get the guitar riff from “I Got The Girl” out of your head anytime soon—you won’t. My favorite track, “Infatuate,” is sadly beautiful, like the near-perfect Replacements gem”Skyway.” It’s an emotional punch of a song that comes in under two minutes, but will stay with you a long time after.